Yes, Pipkin Coconut Oil, Coconut butter and Coconut Flour are gluten-free. 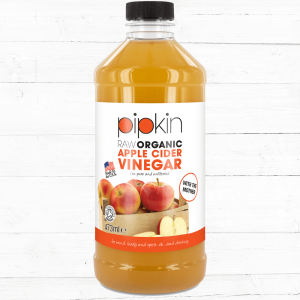 Yes, Pipkin products are 100% organic, raw and unrefined. We are proud to be certified as organic by the Soil Association. Yes, Pipkin Coconut, Coconut Butter and Coconut Flour are all dairy-free. Yes, Pipkin products are Kosher – look for the Kosher Check symbol, which is an independent certification body. 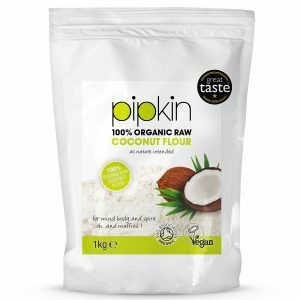 What is Pipkin Coconut Butter? Coconut butter is the whole coconut, including the flesh. It makes for a rich smooth butter with a coconut taste. It’s lovely on toast. How do I use Pipkin Coconut butter? 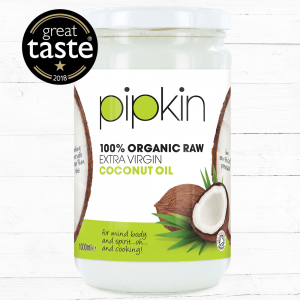 As Pipkin Coconut Butter is a completely raw product and no stabilisers are used, the oil may naturally separate and rise to the top. To get to the coconut flesh, simply warm your coconut butter (place jar under hot water tap for few minutes) and give it a stir. You can use Pipkin Coconut butter in many ways – check out some recipes here. 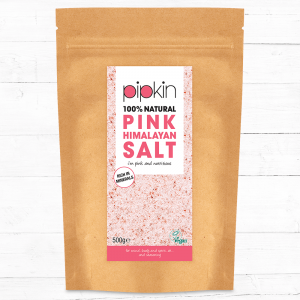 What is Pipkin Coconut Oil? Coconut Oil is multi purpose oil – made from the meat of coconuts you can use it for frying, roasting and baking. My Pipkin Coconut Oil has melted? Does this affect it? No it doesn’t effect the Coconut oil in any way. Coconut Oil melts above 24 degrees and solidifies again. No nutrients are lost in the process and the Coconut Oil can be used in its solid or liquid state. Are monkeys used to pick coconuts? No, rest assured all our coconuts are picked, by humans. They are Coconut artisans who handpick the best quality coconuts to ensure our coconut products are the highest quality. 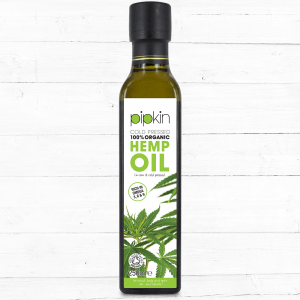 What is Pipkin Coconut Oil’s smoke point? Unrefined Coconut Oil has a smoke point of around 177c (350F) making it perfect for frying roasting and baking. It doesn’t create harmful free radicals when heated. How should I store Pipkin Coconut Oil? You can store Coconut Oil at room temperature – it doesn’t need to be refrigerated. How should I store Pipkin Coconut Butter? You can store Coconut Butter at room temperature – it doesn’t need to be refrigerated.